We spent a long weekend in southern Arizona viewing wildlife, with time spent at birders’ paradises in Ramsey Canyon, as well as two canyons in Fort Huachuca: Huachuca Canyon and Garden Canyon. Wow. 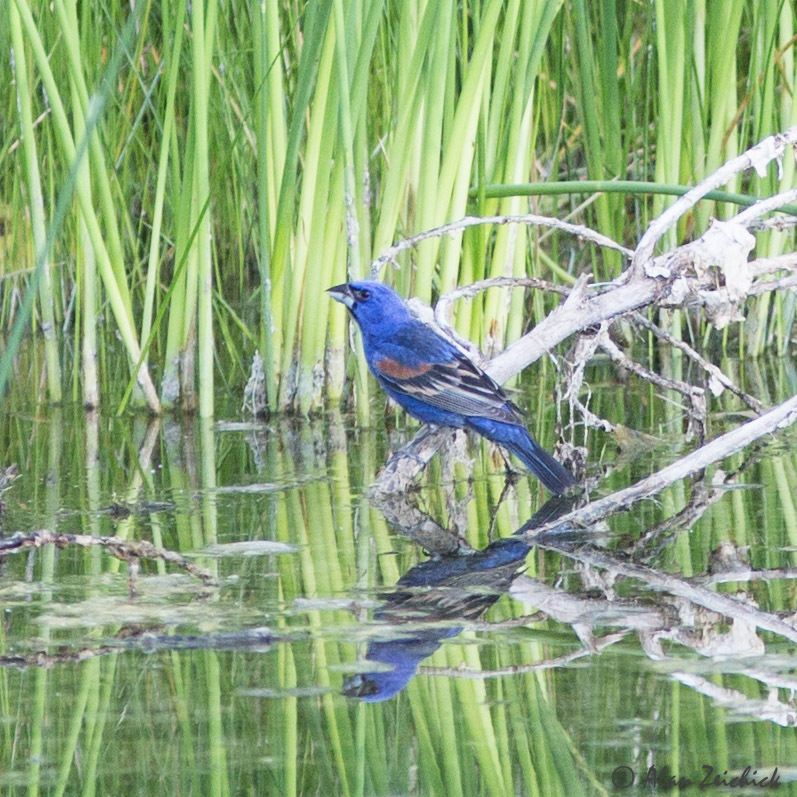 We saw and photographed so many incredible birds and butterflies, including (my favorite shot) the Blue Grosbeak. The rarest sighting was that of the Elegant Trogon. 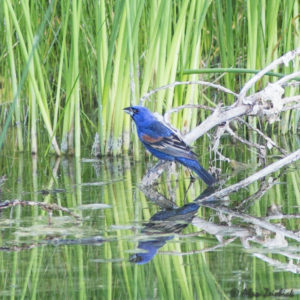 Birders will make a special trip to this area simply to see that bird. There are only about 50 breeding pair in the United States. We were lucky and got excellent photos. During our time there, we stayed at the Ramsey Canyon Inn. Incredible gourmet breakfasts by Chef Vince. Recommended! We saw and photographed Painted Redstarts, Arizona Woodpecker, Hepatic Tanager (called that because it’s the color of liver! ), Buff-Breasted Flycatcher, Sulphur-Bellied Flycatcher, Greater Pewee, Cassin’s Kingbird, Verdin, Magnificent Hummingbird, Broad-Billed Hummingbird, Black-Chinned Hummingbird, Red-Shouldered Hawk, Black-Headed Grosbeak, and many, many others. There were also quite a few species of butterfly everywhere. I only remember a few by name, the Arizona Sister and the Double-Tailed Swallowtail (the Arizona state butterfly), and impressive swarms of Bordered Patch. Plus various dragonflies, jackrabbits and Coues White-Tailed Deer. What a beautiful part of the world. We’ll be back.